A reality of modern life, divorce is as common as marriages today. This is the reason considerable efforts are made to maintain divorce records. The Vital Records and Health Services division of the New Mexico Department of Health maintains and issues New Mexico divorce records. Once married people go their separate ways, they need something to proof their separation or divorce. This is where divorce records enter the fray. If a divorced person wishes to re-marry, he or she will have to provide proof of divorce. To qualify for re-marriage, a person in New Mexico has to provide legal proof of separation. Having information contained in the public domain, New Mexico divorce records are part of the vital records. In order to maintain the vital records, the New Mexico Department of Health has formed the Bureau of Vital Records and Health Statistics (BOVRAHS). The BOVRAHS provides divorced records to people in New Mexico. Before you apply to the New Mexico Department of Health for New Mexico divorce records, contact the office of the clerk at the court that granted the divorce to find out if they have the information you need. To make a request for the New Mexico divorce records over the phone, you need to call the New Mexico Department of Health at 505- 476-7900. You can also obtain the New Mexico divorce records online by visiting the New Mexico Bureau of Vital Records and Health Statistics Website, signing up with them, paying the fee, and performing the search. I am having trouble finding my divorce records. My maiden name was Mary E. McNeese datemof birth 12/12/1943. I was married in Los Alamos, NM in 1965. My ex-husband was Keith C. Roush. He was born in 1946. I do not know the date. We were divorced in (I think) 1974. At the time of our divorce I lived in El Rancho, NM which is Santa Fe county. I have filled out the forms on line but i cant find the one i need. I hope you can help me or let me know where to go to get this in person. We do not show the New Mexico divorce record you’re searching for in our divorce records database. Your best bet is to follow up with the county Santa Fe courthouse, where your divorce took place, and talk to the clerk and inquire about your best course of action in locating this divorce information. Hi My name is Haywood Hall DOB 6.24.56 and I was married to Sharon Lewis Hall 3.4.56 We were divorced in Bernalillo County in 2004 I believe. Can I get the exact official date? 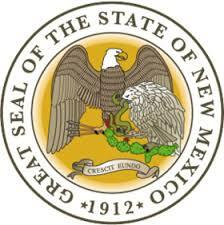 Haywood, we do not show the exact New Mexico divorce date when your divorce decree was filed. Your best option would be to contact the county courthouse clerk in New Mexico where you filed your divorce papers. They can better assist you with finding your divorce date. To find your divorce date you can contact the county courthouse clerk where your divorce decree was filed. They can provide you with the divorce date as well as a certified copy of your divorce record for a nominal fee. In order to get a certified copy of your New Mexico divorce certificate you will want to contact the County Courthouse your divorce decree was filed. Since you don’t know the exact court you should consider starting with the Bernalillo county courthouse and inquire with the court clerk. They should be able to better assist you with obtaining your NM divorce record with the limited information you have. Best of luck and please reach out if we can be of further assistance.